Ok tbh I've been trying to write a proper review of this book since 8.30pm but I failed. I got writer block or anything u call it, but try as hard as I may, I couldn’t fully express what I want to say about Illuminae in an interesting way. I already typed 4 paragraphs of my review but I stopped because it isn’t what I want. So im just gonna write this in point form lol. It’s a scifi + dystopia. Its perfect for scifi lovers, really, And probably star wars lovers too because it mentions the space, space war, spaceships and some other aerospace things. Illuminae is told in a very very unique way—Its in footage style. We have IMs, emails, hacked documents, journal entries, pictures, transcription of surveillance videos etc etc, which revolves around spaceships, an attacked planet, a robot/machine and 2 amazing characters. I don’t know how Amie and Jay did that but they nailed it!!! Not only that the unique and cool formatting enhance your reading experience, it also makes you feel various type of feels for the characters. I LOVE THE MAIN CHARACTERS. KADY GRANT IS MY SPIRIT ANIMAL. AND EZRA MASON!!!!! <3 <3<3<3<3<3 FOR HIM. I got sucked in immediately when I was introduced to both these characters. I like them both even as individuals with all their characters. Kady is an intelligent girl hacker with her ‘I do what I want to do and I do it my way, y’all are stupid anyways’ attitude and Ezra with her charming witty self. I was definitely won over, big time. AIDAN. God, I don’t know what to make of AIDAN. I hate it. I love it. I cried for it. I pitied it. I want to kill it. I want to hug it. I feel all of those things for AIDAN. You’ll understand me when you get there. VERY VERY INTERESTING PLOT I SWEAR!!!!!!! AND THE PLOT TWISTS!!!! I DIDN’T EVEN SEE THEM COMING!!!!! My God. Have I mentioned that I cried while reading this book? 2. There are still a few things I don’t understand but some of them are cleared up once I had a discussion+fangirling session with Hanan. 3. One of the reasons for the confusion is that we don’t really have a background story before Kerenza was attacked. The story starts right where the attack happened and it moves forward after that, with very few notes about the past. 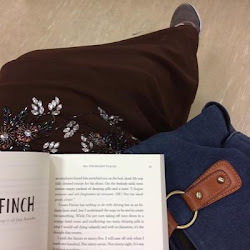 Some readers felt that they couldn’t really connect with the characters because of this. 4. This book contains a lot of cuss words but they are all blacked out as in highlighted with black highlighter so you couldn’t see them. It gets annoying at some points but those blackened words can be predicted. If you prefer a cuss free book, then this is for you. "I’ve read a decent amount of reviews touching on the subject of the romance aboard Illuminae and how it was too much, too cliche. I’m not going to go into a lot of detail, but the one thing I kept in mind when reading the ‘love story’ bits was this: when your family is gone, and you have the one person that you used to love in front of you, the only remnant of your home planet, what would you do? (& I advise that all prospective readers keep it in their head, too.)" 2. WHEN THAT ONE PARTICULAR CHARACTER DIED OMG I WAS SO SHOCKED I COULD BARELY RESPOND. I WAS HEARTBROKEN. 3. Ezra’s mom????? WTF WAS THAT??? God, I need book 2. If you follow me on Twitter, you probably have seen my outrage over Illuminae since yesterday so please read this book and fangirl with me. Please. WARNING : ok so i understand that there is a lot of hype surrounding this book. Just because I love this book, doesnt mean that this book IS SUPER GOOD. it may not match your taste because I believe this book isnt for everyone. You may hate the book despite my overflowing praise for it. I also have a few complains like i mentioned above so i understand if some people find it overhyped. I just dont want people to go all 'im disappointed. i dont find this book entertaining at all' on me. If you haven’t known yet, Warner Bros and Brad Pitt has signed Illuminae up to adapt it into a scifi movie. Honestly? I dont know. Illuminae is unique as a book because of its formatting. Lets just see how Warner Bros will deliver the uniqueness of Illuminae in movie form. 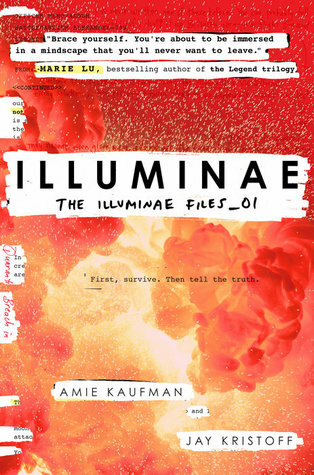 OH AND THE SEQUEL OF ILLUMINAE IS CALLED GEMINA!!!!! !